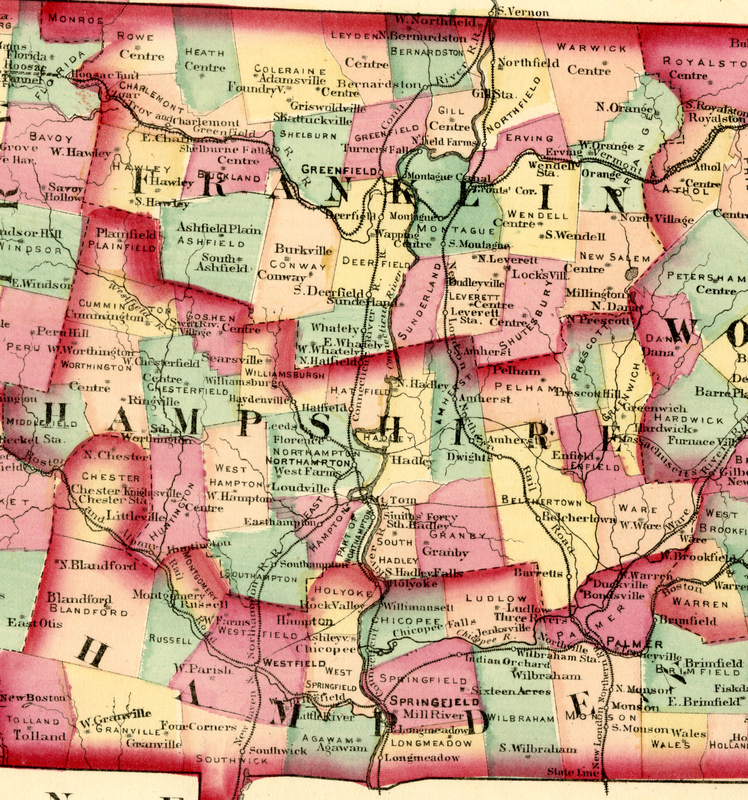 The Pioneer Valley History Network is a resource for local history organizations in western Massachusetts—and the public they serve. Large or small, old or new, these organizations care for the objects and stories of the region’s past. Some are small, volunteer-run historical societies; others are large museum complexes. Some focus on collections, others provide resources and education. All are committed to keeping history alive and relevant for future generations. This collection of organizations is an incredible resource! NEW! Click this link to see a map of the historical institutions in the Pioneer Valley! (Thanks to Rich Roth.) NEW! Click the Sites link to learn more about these organizations. Check out and attend upcoming events. Learn how your favorite historical society can benefit from PVHN’s Summer Themes, Gatherings & Workshops, and Special Projects. * The topics that are presented are the ones of interest to the presenters. * No committee will “screen” the topics and requesting a time-slot is easy. Anyone can present. * The sessions that are well-attended are the ones that are of interest to the attendees. * It’s an incredibly democratic way to gather and share information. The cost is low — the goal is to break even. There are no paid staff, no paid speakers, and no one will profit. We want your participation. There will also be plenty of opportunity for networking and an exhibit area for selling books and other history-related products. There is no specific theme, but please, no political diatribes or sales pitches for commercial products or services. Other than that, the sky is the limit. The Pioneer Valley History Network (PVHN) is spearheading a bold new project that will help small, historical societies, museums, and archives protect our local history. The project, called “The Future of Our Past,” is enabling eight local historical institutions in the Pioneer Valley to enhance their capabilities to protect the documents, artifacts, and photographs that tell our region’s history. To read more about the “Future of Our Past” project, click here. The curriculum chosen, the “Standards and Excellence Program for History Organizations,” or StEPs program, will help the participating history organizations assess their policies and practices and work towards meeting national museum standards. The StEPs program uses a Basic, Good, Better system of performance indicators to help even the smallest of organizations make incremental, but meaningful improvements in their operations, including collections care, and in serving their communities. StEPs is a self-paced curriculum, however, experience has shown that participants achieve greater success by working together in a group. The collegiality developed by working on the tasks together, creates a positive experience for the participants, leading to greater achievement. and by the Community Foundation of Western Massachusetts (Franklin Fund; the Nan and Matilda Heydt Fund, administered by Bank of America, Trustee; and the Joan Walker Memorial Fund). We came over last fall, I am glad you have your own website for the region. Pleased I found this page. Going to be in western Massachusetts soon and and will be checking out some of the upcoming events. A long researched historical novel, Silencing the Women: The Witch Trials of Mary Bliss Parsons details early life in the settlements along the Great River. This book written by local author, Kathy-Ann Becker, is available at all local online bookstores, at the gift shop at the Historic Northampton Museum gift shop, and upon request at local bookstores. This story is lovingly told by a descendent.